Introducing the Mercer Collection, exclusively at Hamilton. A sophisticated and modern design that mixes classic pavé diamonds on a modern squared-edge shape. Perfect for stacking multiples or wearing as a singular style statement. 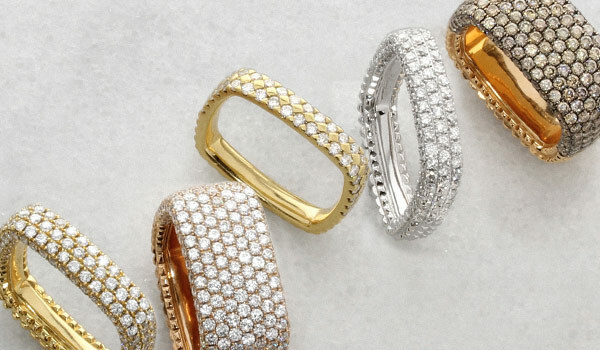 Available in a variety of widths and carat weights, in 18k white, yellow or rose gold.